The Hitch Man, Inc. (THMI) was incorporated in January 1994 as a family-owned and operated business. Three THMI locations exist to better serve customers -- Waldorf, Maryland, Taneytown, and Boothwyn, Pennsylvania. Specializing in trailer sales, trailer parts, trailer services and trailer inspections. 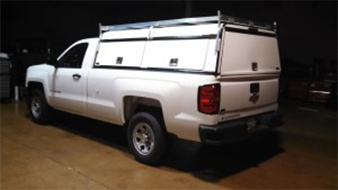 The Hitch Man, Inc. also offers hitches, custom hitch installations, snow plows, truck accessories, and more. When you are in the market for high quality trailers then The Hitch Man is your one-stop shop! 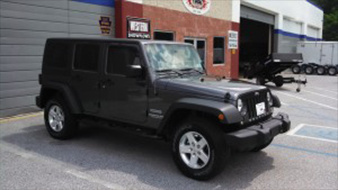 We have it all at affordable prices and our commitment to quality and excellence has earned us the trust and respect of our customers throughout Maryland, Pennsylvania, New Jersey, Delaware, DC & Virginia. See for yourself why we have some of the highest customer satisfaction rates, the highest rate of return customers and customer referrals. Anyone can say they have great products or claim to have the best service. What truly speaks volumes are the words of our satisfied customers. We provide exceptional service for all your trailer, hitch, and equipment needs. We can help with trailer hitch installation and configuration. We can get you hooked up with great deals on snow plows for sales, trailers for sale, and other great equipment all available at very competitive prices. Our legacy of quality and excellence continues to be held as a core value that has helped set us apart from the competition. When quality matters then The Hitch Man is your destination for all of your trailer service, trailer hitch installation, and snow plow installation needs. Side steps and nerf bars for every application. Contractor work caps and ladder racks to make sure your prepared on the job.